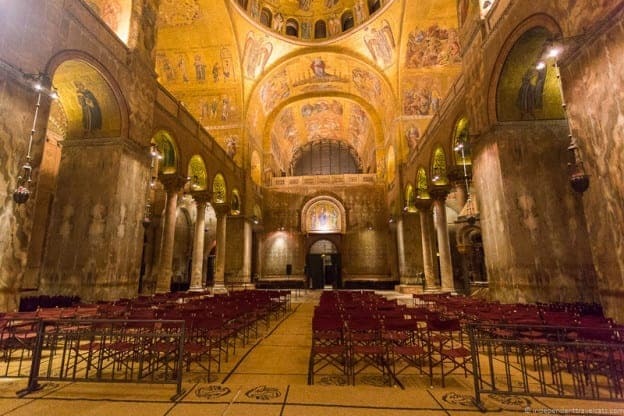 Visit the Doge’s Place and St. Mark’s Basilica without the crowds? St. Marks’ Basilica and the Doge’s Palace are two of the most popular places to visit in Venice, and although they are must-see stops for travelers, they also tend to be very crowded. It can be hard to enjoy these historical sites as you are standing in lines, jostling elbows with fellow travelers, and trying to see around selfie sticks and flag-waving tour guides. Walks of Italy, an American-based walking tour company, has come up with an eloquent solution for this dilemma. 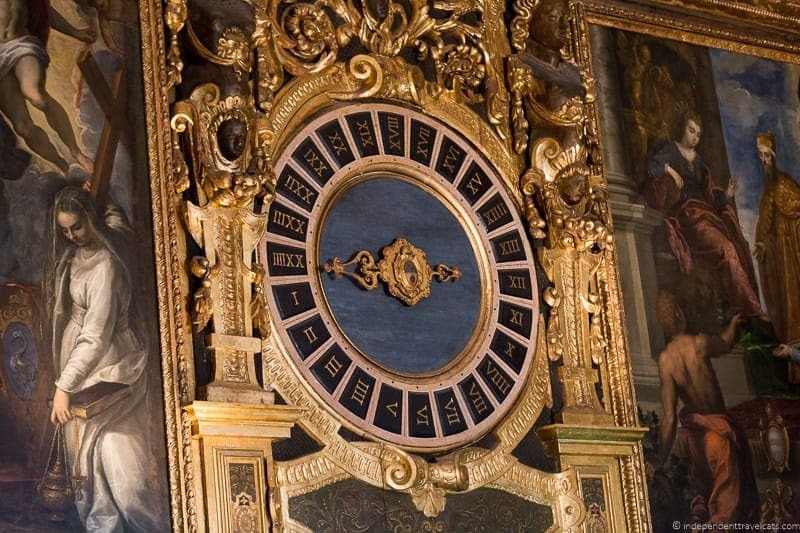 They have designed a tour that allows late entry into the Doge’s Palace which is a time that the palace is typically quiet, and most importantly they have received permission to run exclusive after-hours tours inside St. Marks’ Basilica. So you get to experience St. Mark’s Basilica as very few people do, alone with only your tour guide and fellow privileged tour members. It is a great experience to be able to sit in almost total silence in this grand cathedral and you can almost imagine what it may have been like to sit there alone as the Doge did centuries ago. 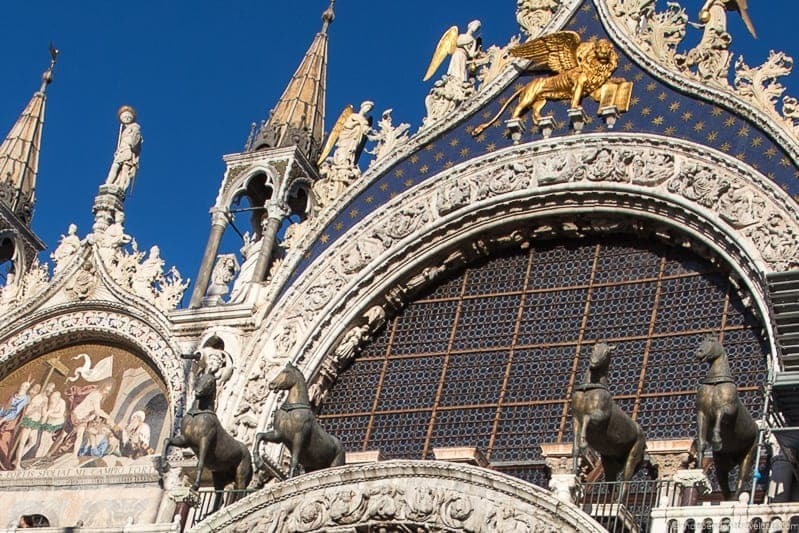 We’ll share our Walks of Italy exclusive tour experience and you can decide for yourself if you’d like to tour the Doge’s Palace and St. Mark’s Basilica without the crowds. Even if you decide to explore these iconic attractions on your own, we’ll provide tips on the best times and ways to avoid crowds. Walks of Italy is an American-based tour company founded in 2008 by tour guide and art historian Jason Spiehler and tourism and tech savvy Stephen Oddo. Walks of Italy grew rapidly and now offers over 70 tours and other services within Italy. The company expanded in 2014 to launch Walks of New York and again in 2018 with Take Walks, which covers many cities worldwide. They focus on small group tours that cover the major highlights of destinations as well as some off-the-beaten path spots with knowledgeable and friendly English-speaking tour guides. Walks of Italy offers group walking tours in most of the major travel destinations in Italy, including Rome, the Vatican, Florence, Venice, Pompeii, Amalfi Coast, Tuscany, and Milan. They also offer day excursions by bus, as well as private tours. Tours tend to focus on city highlights, museums, food, wine, and culture. We’ve enjoyed a number of their tours and you can read about our experiences taking several of their Walks of New York tours last year during a trip to New York City. Who is the best fit for a Walks of Italy walking tour? Walks of Italy tours appeals to a very wide range of travelers who are looking for quality group tour with a knowledgeable and friendly English-speaking guide. They cover just about all the highlights of a city plus they typically have a couple of food-focused tours and a couple of tours that explore off-the-beaten path places. 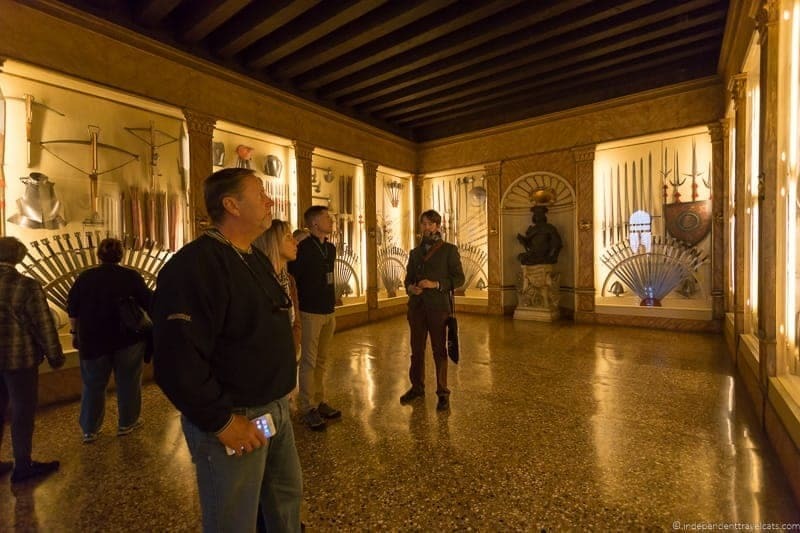 They also run a number of special access tours such as the Exclusive Alone in St. Mark’s & Doge’s Palace Tour that allows you to see sites at a special time or to visit places not open to the general public. Children are allowed on tours. Do check ahead before booking regarding strollers and wheelchairs as they are not possible on a number of tours. 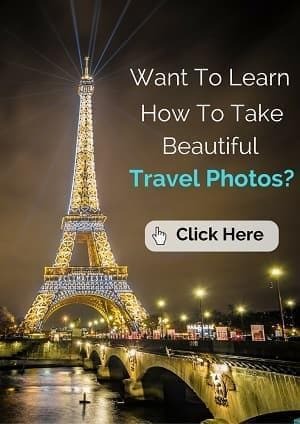 Walks of Italy Tour Costs? The cost of a Walks of Italy walking tour varies depending on the specific tour, but group tours generally range from about USD $30 to $160 per person. 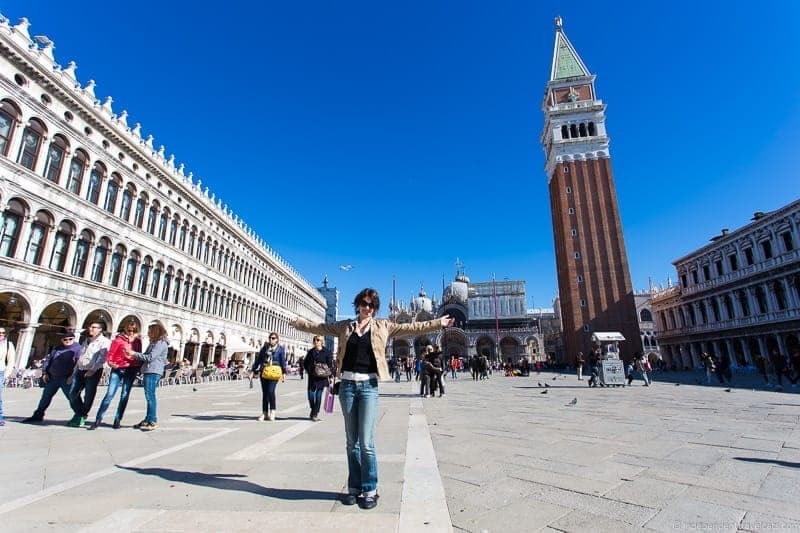 For instance the Exclusive Alone in St. Mark’s & Doge’s Palace Tour is currently priced at $104.95 per person. If you want to request a private or custom tour, they generally range from USD $300 to $550 for a small group. How do I make a tour reservation or contact Walks of Italy? The easiest way to book a tour is online through the Walks of Italy website. You can also email Walks of Italy at info@walksofitaly.com or call them at their toll-free U.S. phone number +1-888-683-8670 or regular phone number +1-202-684-6916 during normal business hours. If you have booked a tour and need to contact them outside of business hours, check your email confirmation for their 24-hour emergency phone number. You can also find Walks of Italy on Twitter @WalksofItaly and on Facebook. 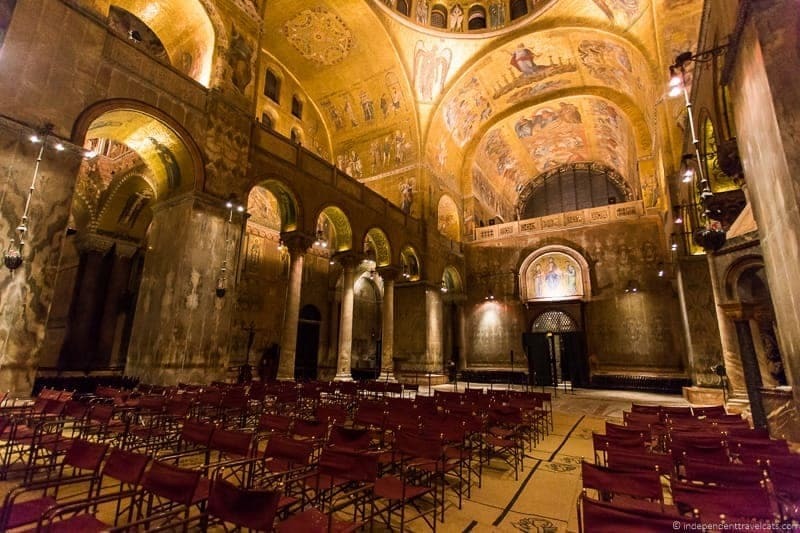 We specifically booked the Exclusive Alone in St. Mark’s & Doge’s Palace Tour, although for those only interested in the after-hours tour of St. Mark’s Basilica, you can also book the Exclusive Alone In St. Mark’s Basilica After Hours Tour. Our tour started just outside the Doge’s Palace overlooking the beautiful lagoon. Our guide was the friendly and knowledgeable Mose who studied art history and architecture and specifically focused part of his research on a door within St. Mark’s Basilica. 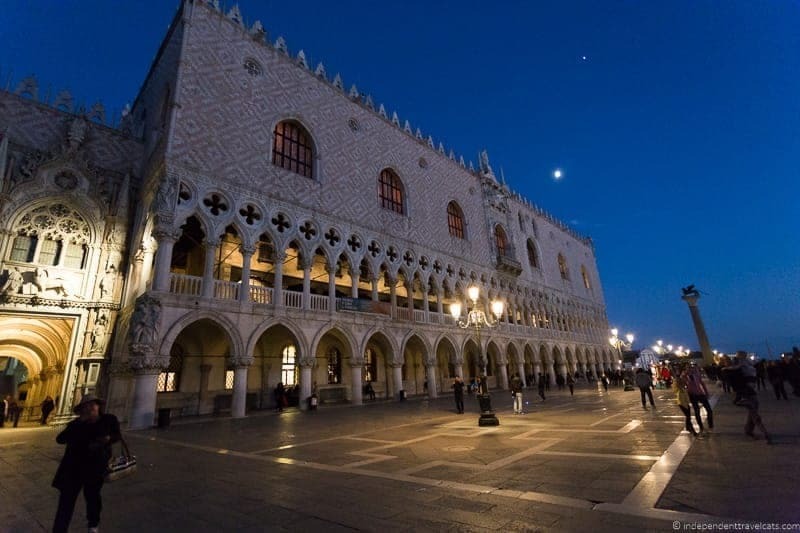 For the first part of the tour, we headed to the Palazzo Ducale, or the Doge’s Palace, to take advantage of the last evening entry time for our group. The first 10 minutes or so of the tour took place in the courtyard of the Doge’s Palace where Mose gave us a good background of the palace and its construction and purpose. The Doge’s Palace, or Palazzo Ducale, is a great example of the Venetian Gothic style and the current building dates back primarily to the 14th and 15th century. The palace served as both the private home of the Doge, or Duke, of Venice and his family and the seat of government housing the political institutions of the Republic of Venice until the abdication of the last Doge during Napoleon’s occupation of the city in 1797. Venetian law and justice was administered from this building for centuries. One of the interesting features on the exterior of the building are the so-called “Lion’s Mouth” postboxes. 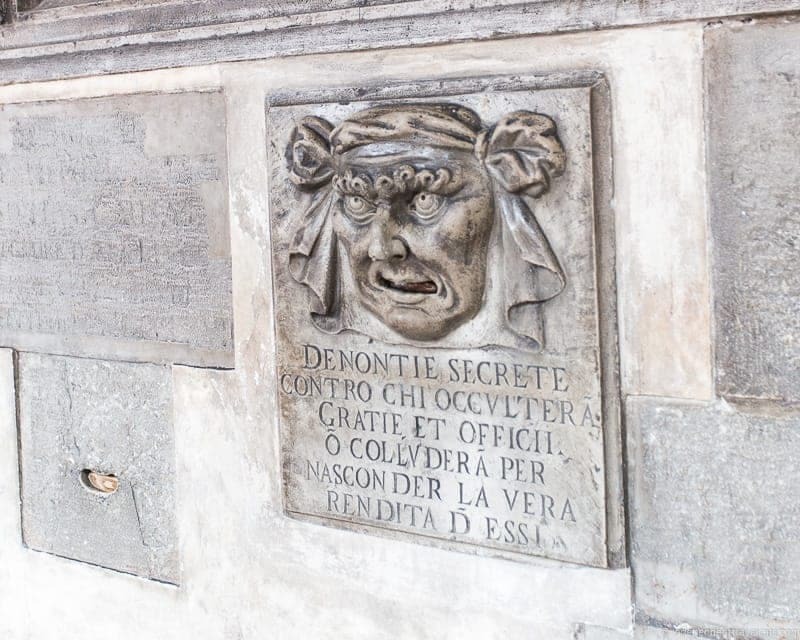 These “mail slots” in the shape of masks or lion’s mouths marked Per Denontie Secrete (“For Secret Denunciations”) were designed so that people could anonymously denounce individuals whom they believed were stealing from the state or otherwise violating the law. Anyone could place a name or accusation on a slip of paper and place it into the lion’s mouth, and convicted individuals could face a death sentence. Inside the Doge’s Palace there are a number of routes and areas of the palace that you can visit. This tour focused on guided visits to the institutional or government rooms as well as visits to the courtyard, palace armory, Bridge of Sighs, and New Prisons. Notably this tour does not focus on the Doge’s Apartments which were the private residence rooms of the Doges and their families. It will become apparent as you walk through the palace that the large and ornately decorated rooms were meant to show wealth and intimidate visitors. 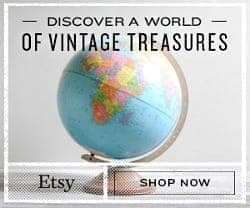 You’ll go through a series of elaborately decorated antechambers, halls, and rooms that have a number of paintings, frescos, decorations, and sculptures by famous artists such as Titian, Tintoretto, Bellini, Tiepolo, and Veronese. We learned from our guide Mose that few frescos exist in the palace due to the humidity and most of the artwork is actually paintings on canvas that are set away from the walls and ceilings to help protect them from the humidity. Among the many institutional rooms of the former Venetian government, two of my favorites were the Senate’s Chamber and the Chamber of the Great Council. The latter was used for meetings of the Great Council which was composed of male members of patrician Venetian families and was the most important political body in the Venetian Republic. 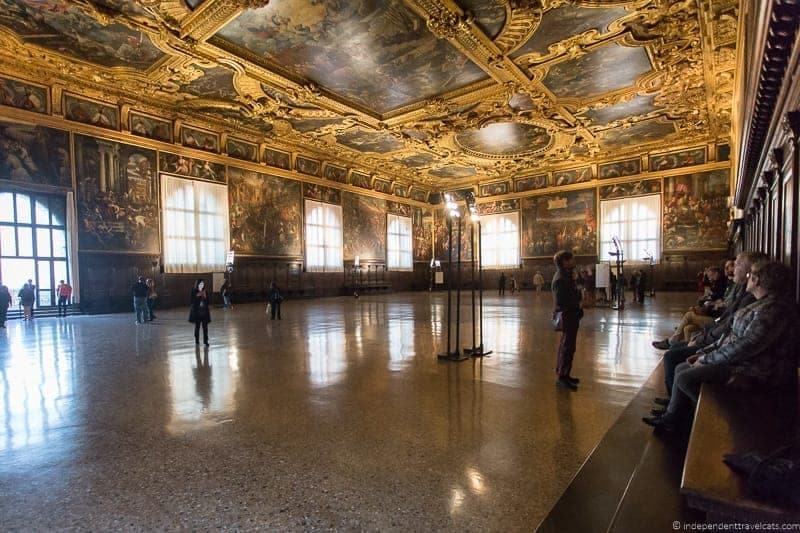 The Chamber of the Great Council is not only the largest room in the Doge’s Palace but it was also one of the largest meeting rooms in Europe. Here we sat for a bit and learned more about a few of the individual doges who ruled the Republic of Venice; there were 120 of them who ruled from 697 to 1797 so luckily Mose was selective! 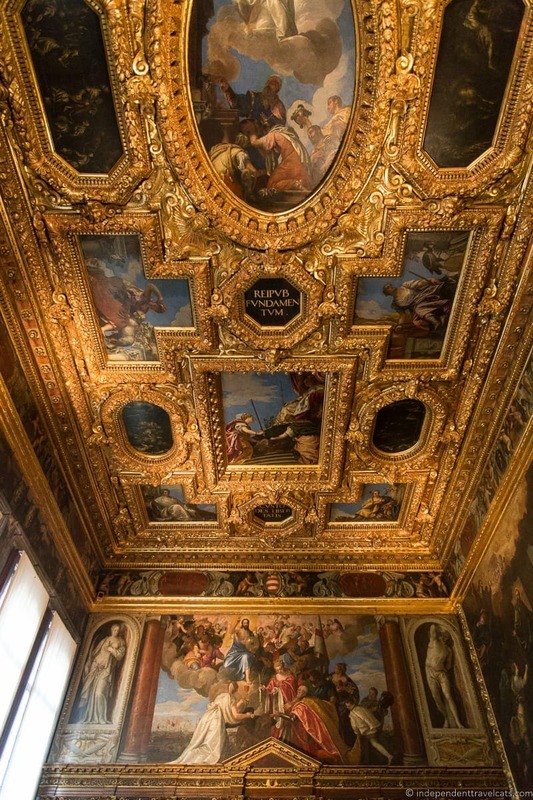 This is the perfect room to learn more about the doges as you’ll find portraits below the ceiling of the first 76 doges (the rest are in the Sala dello Scrutinio). One of the paintings in this room, that of the Doge Marino Faliero, is represented simply by a black shroud because he attempted a coup d’état in 1355 and his punishment was death and the eradication of his memory! He is actually the subject of a tragic play by Lord Byron. 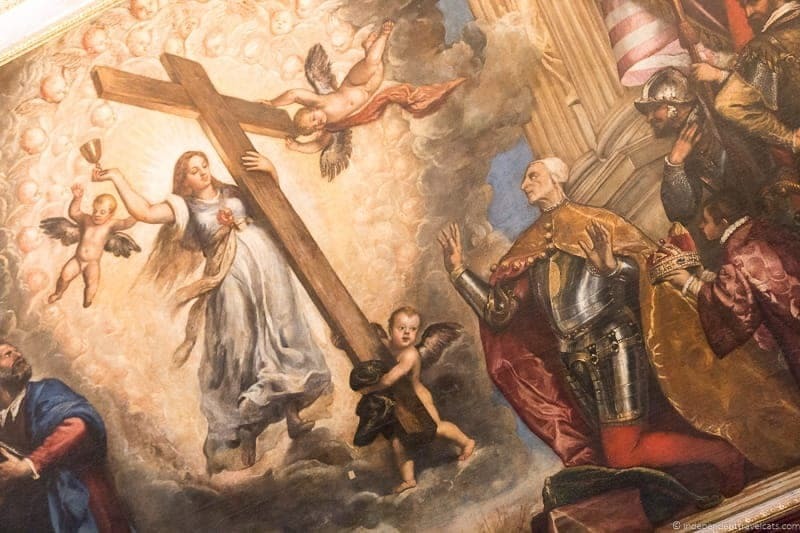 Another interesting feature of this room is the huge religious painting on the wall behind the Doge’s throne, it is the Paradiso by Jacapo Tintoretto and is one of the largest canvas paintings in the world! It was great to be here at the end of the day as our group had almost the entire huge room to ourselves. We also visited the palace armory during the tour. Mose led us through four rooms filled with swords, firearms, suits of armor, and other military-related items dating back as far as the 14th century. During the final part of the inside part of the tour, we headed downstairs to cross over the famous Bridge of Sighs (or Ponte dei Sospiri). The enclosed bridge was built in 1614 to link the Doge’s Palace to the New Prisons. Inside, there are two separate corridors that run next to one another. The romantic name and connotation given to the bridge by Lord Byron and others supposedly refers to the sighs of prisoners who would be led across the bridge and sigh as they took a final look at the canal, the lagoon, and pretty San Giorgio Maggiore through the barred windows of the bridge before being locked in their cell. 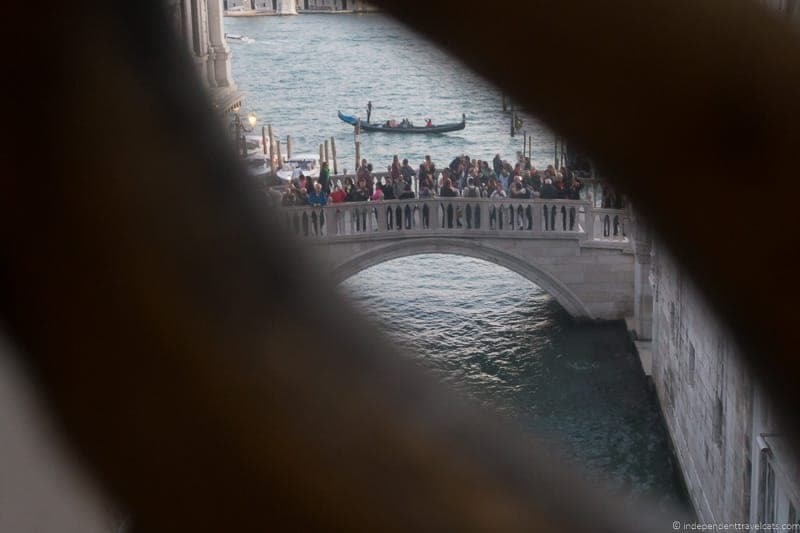 We did not find the bridge to be very romantic from the inside looking out! The prison cells of the New Prison (well “new” in the mid-sixteenth century anyway) were not too much to look at but interesting to see nonetheless. For those interested in Giacoma Casanova’s time in Venice, the famous Venetian adventurer was imprisoned within the older prison section within the Doge’s palace itself and it was there that he would stage his daring and successful escape. 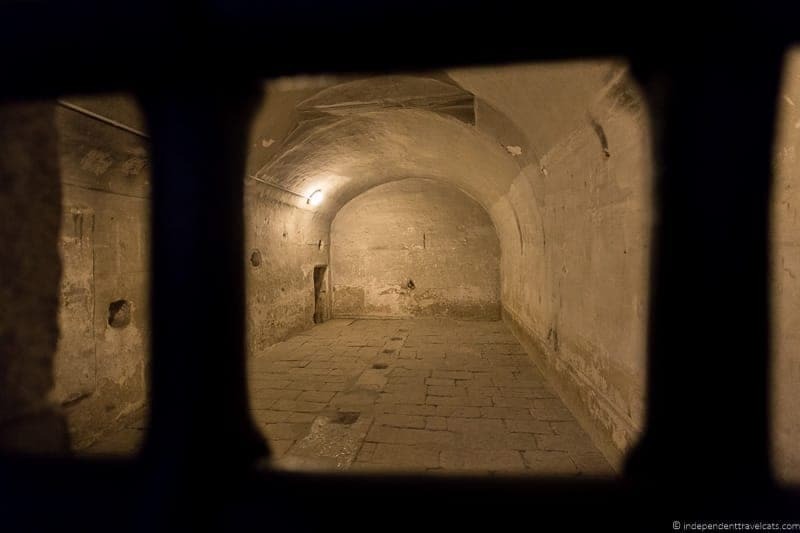 This particular tour doesn’t include a visit to Casanova’s prison cell, and neither does the regular Doge’s Palace tickets, but you can book a Doge’s Palace Secret Passages Tour that includes Casanova’s cell as well as other parts of the palace not open to normal visitors. Finally, we walked back outside, this time exiting through the Giants’ Staircase to the Porta della Carta. Although visitors now only exit here, this was historically the formal entrance to the palace and a very grand one at that. 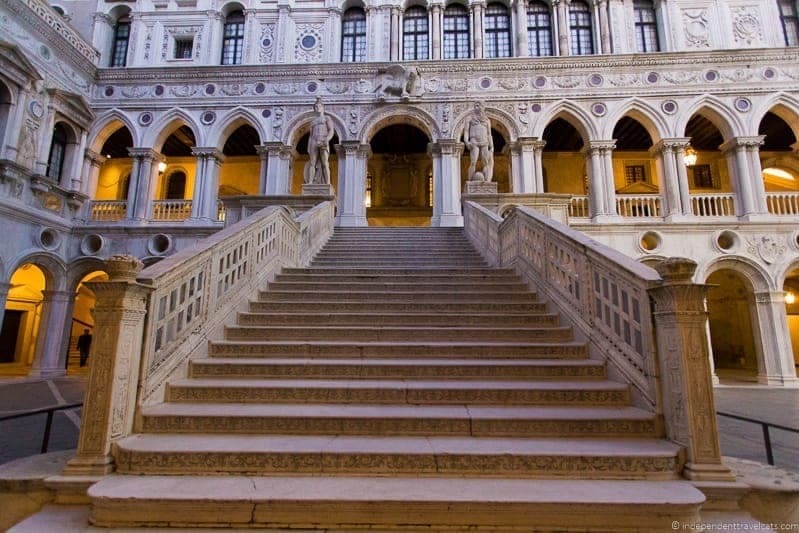 Mose took some time to talk about the Giants’ Staircase which is guarded by two colossal statues of Mars and Neptune, which represents Venice’s power on both the land and the sea. A rounded arch of alternated bands of Istrian stone and red Verona marble links the Giants’ Staircase to the Porta della Carta through which we left the Doge’s Place. A great way to exit the Doge’s Palace. Then Mose led us back to our meeting point and we had a 20 minute break until the start of the second part of the tour of Saint Marks’ Basilica. TIP: If visiting the Doge’s Palace on your own, consider going when it first opens or 1-2 hours before it closes to best avoid crowds. After our 20 minute break, we met up again with Mose. Many of the people who were on the Doge’s Palace tour were also on the tour of St. Mark’s Basilica and we were also joined by some new people. There were about 25 of us in total so they divided us up into two separate groups of about 12 persons, each with its own guide. The tour began outside in the Piazza San Marco, or St. Mark’s Square. St. Mark’s Square is almost always busy with people and is often referred to as the “finest drawing room in all of Europe” which is likely a phrase wrongly attributed to Napoleon. Nonetheless, it has long been the social center of Venice with the Doge’s Palace as its historical political center and the basilica as its religious one. The piazza is a great place to visit in the evening as the sun is setting as you get to see it lit up and hear the music from the orchestras outside the historic coffeehouses along the square. TIP: If you want to have St. Mark’s Square alone to yourself (or almost so), I’d suggest returning between 10:30pm and 7:00am depending on the season. Few people are there before or during sunrise. Before our wedding ceremony in Venice, our best man and his wife were totally alone when they arrived in the square at 6:00am in October (before sunrise) and there were few people around until about 8:00am. As we walked past the 323 foot (88.6 meter) St. Mark’s Campanile, Mose explained that the tall bell tower actually only dates back to 1912 as the old tower collapsed in 1902. 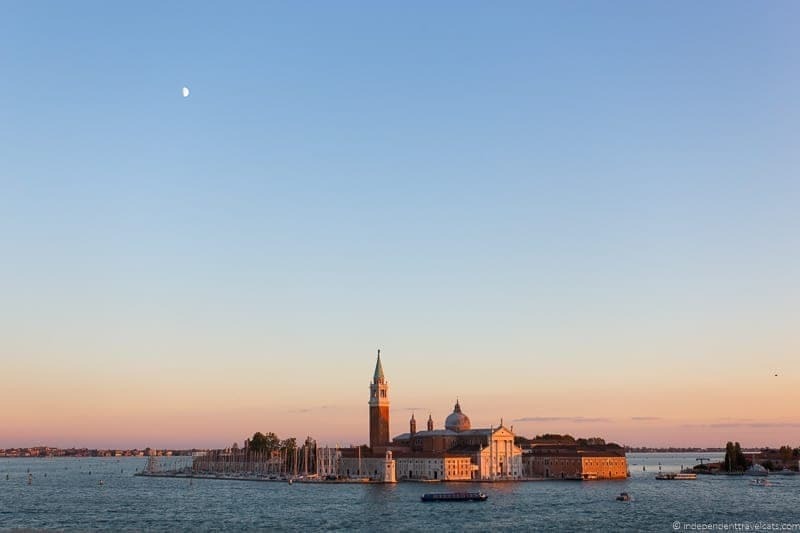 I recommend going up the bell tower during the day for good panoramic views of Venice. In front of St. Mark’s Basilica, Mose told us more about the architecture and history of the basilica. It is interesting to note that although the two buildings are physically connected, St. Mark’s Basilica looks a lot different from the Doge’s Place as the basilica was built much earlier in the Byzantine style during the 11th century. 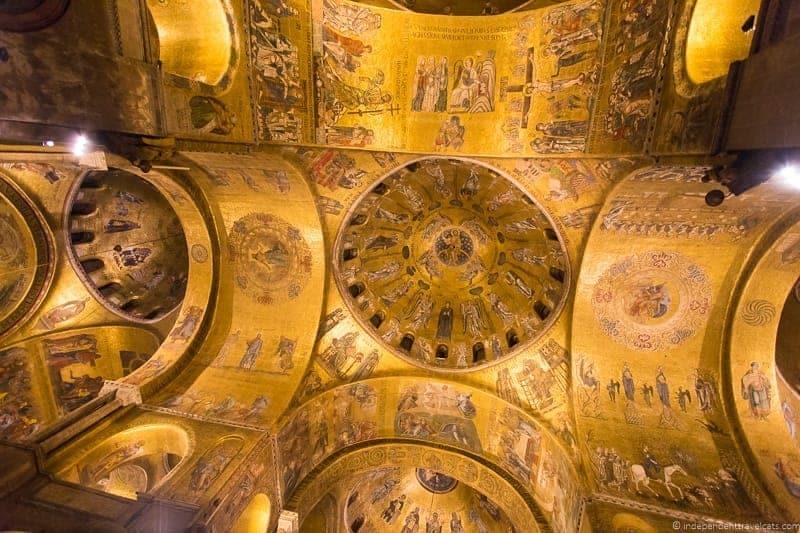 However, the first St. Mark’s Basilica built on this spot dates back to the 9th century and was built to house the sacred relics of Saint Mark the Evangelist. These relics were actually stolen by Venetian merchants in 828 from Alexandria, Egypt and it is said they were snuck past the Egyptian guards by hiding them in barrels filled with pork and cabbage. The guards being Muslim did not fully inspect the barrels and they were smuggled out aboard a ship to Venice. 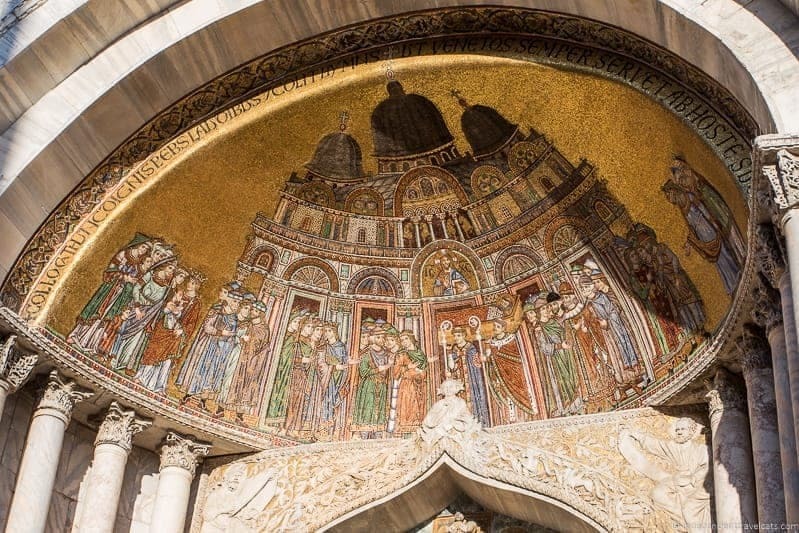 Apparently the Venetians were not ashamed of the way they obtained the relics as the story of Saint Mark’s relics is depicted on a series of mosaics on the façade of the basilica! 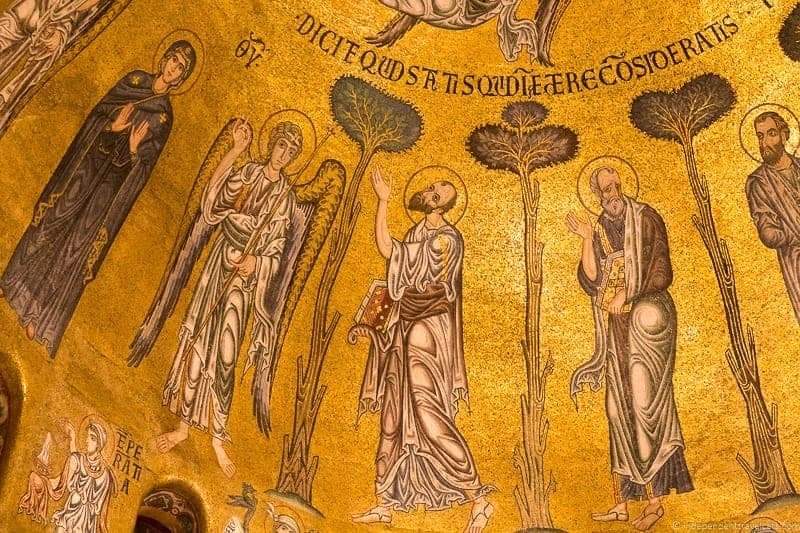 The mosaic depicting St. Marks’ body being carried into the basilica, the Deposition mosaic, dates back to the 13th century and is the oldest exterior mosaic. 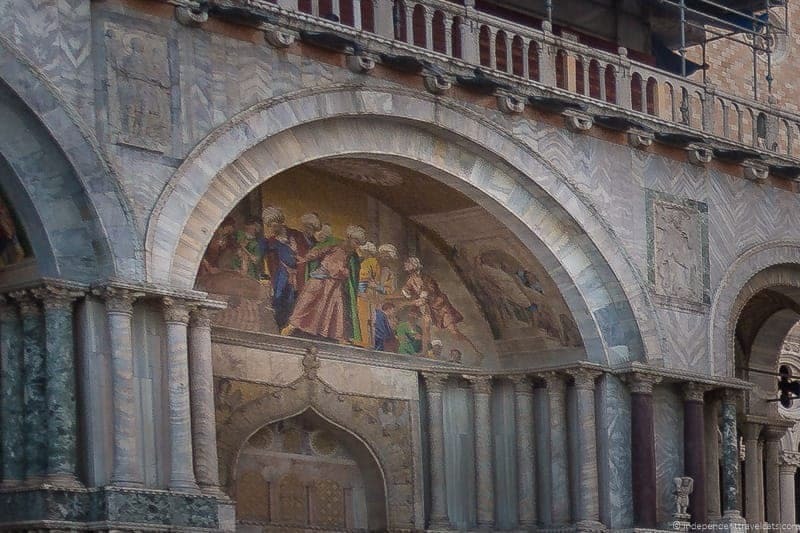 St. Mark remains the patron saint of Venice (as well as Egypt) and you can see his symbol, the winged lion all over Venice including on the façade of the cathedral. Another of the many notable features of the façade of the cathedral are the four horse statues on an arch above the main entrance; these bronze statues (probably Greek) were taken by the Venetians from Constantinople (current day Istanbul) as spoils of war during the Fourth Crusade. They were later taken by Napoleon and placed on an arch in Paris before being later returned to Venice. The ones you see outside are actually replicas and the originals have been placed in the basilica museum for preservation reasons. 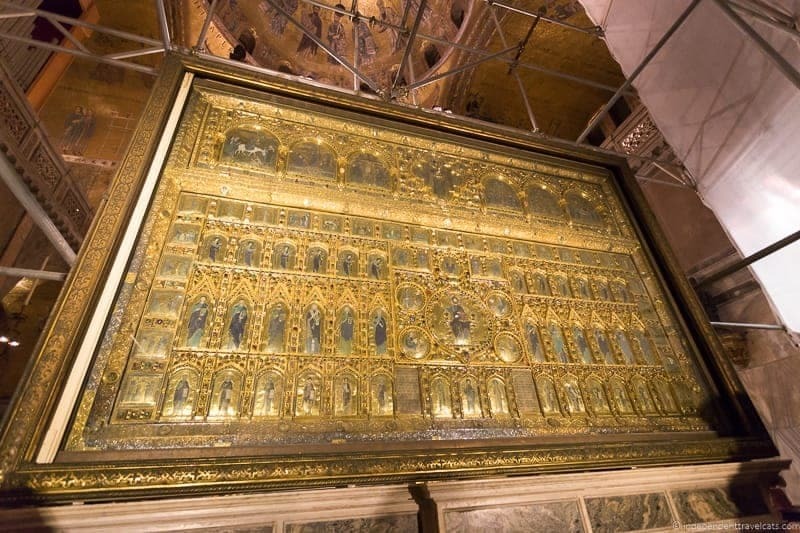 We soon learned that many of the treasures of St. Mark’s Basilica were looted or “borrowed” from other places, including pillars, sculptures, mosaics, crosses, and altarpieces. We spent about 30 minutes outside and then Mose led us around the cathedral to be let into a side entrance of the basilica. We were excited to be able to finally see the inside of St. Mark’s Basilica without the crowds! I had never been inside the cathedral before but Laurence remembers it being very crowded on a previous visit. Despite being in St. Mark’s Square on numerous occasions before our tour, Laurence dissuaded me from visiting the cathedral even though it is free to enter (although you pay a fee to see the Pala d’Oro) as he did not have a positive experience from his first visit with the crowds and the pre-set pathway that visitors must follow. TIP: If you do visit the basilica on your own, we recommend going early for the most uncrowded experience. In the most crowded months, consider paying a couple of euros to reserve skip-the-line access to the basilica. A basilica guard unlocked the door for us and led us inside to start our hour-long visit within the basilica itself. Note that photography within the basilica is generally not allowed, but after hours this seems to partially depend on the basilica staff on duty. During our tour, we were lucky in that the staff did not seem to mind photography and everyone in both groups was quite respectful and discreet about it. Mose told us that typically the basilica guards will ask that people do not take photos, so be prepared to put away your phones and cameras and be pleasantly surprised if you are allowed. There are a several interesting doors and mosaics, many related to the Old Testament, to see in the area where you first enter the narthex and Mose did a good job of holding our attention as we waited to actually get inside the main area of the basilica as it was clearing out from a church service. When we first walked inside the church, it was very dark. There were chairs lined up on two sides of an aisle and our group sat on one side of the aisle and the other group sat on the other. Within a few minutes the lights slowly begin to come on from different angles and you start getting a glimpse of the beautiful mosaics and art that fills this giant basilica. Seeing the basilica as was lit up and began to shimmer and glitter from all the golden mosaics was truly breathtaking. It is amazing to be able to sit in almost complete silence with only a handful of other people and just admire it. This was definitely the highlight of the tour for us and one of the highlights of our time in Venice! 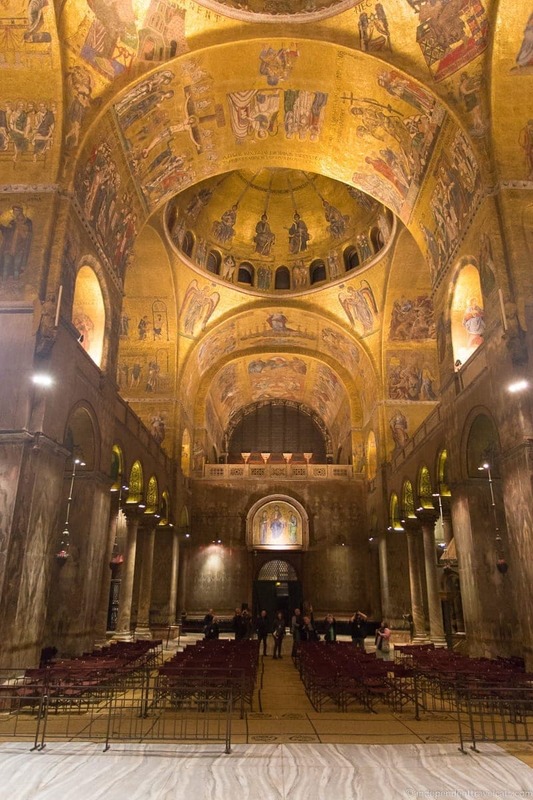 Very few people ever get the experience to be virtually alone in St. Mark’s Basilica. You can really imagine what it must have been like to be the Doge having the basilica all to himself. St. Marks’ Basilica was initially used as the private cathedral of the Doge and his family. What a private chapel! However, it also functioned as a place for state functions and ceremonies. 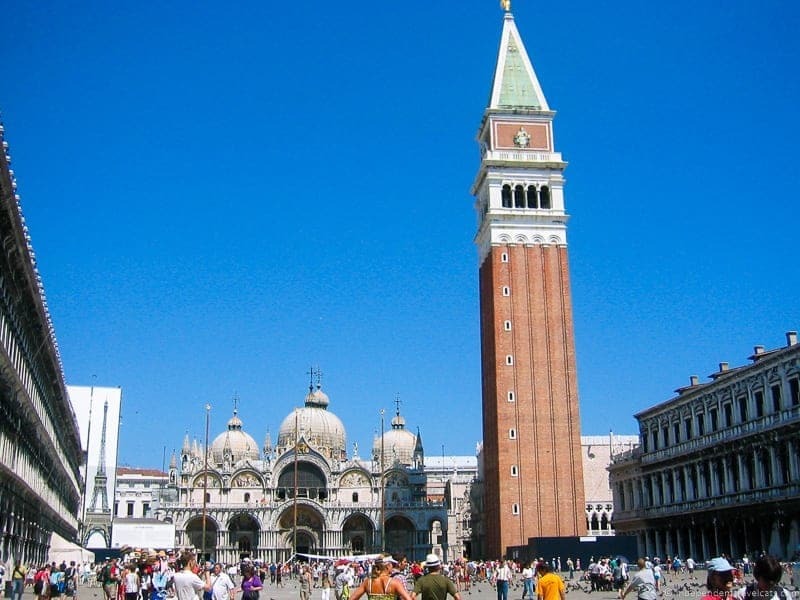 St. Mark’s Basilica would not become the cathedral of the city of Venice until 1807. Public masses are now held here regularly. After sitting and admiring the view for a bit, Mose starting talking again and led us around the interior of the church and explained how the church layout follows the tenets of Byzantine religious architecture and it is laid out like a Greek cross. He talked about the painstaking processes it was for the artisans who made the golden mosaics that cover 85,000 square feet (8,000 square meters) of surface in the cathedral! The tessellated floors of the basilica are made of tiny pieces of marble that are set into geometric patterns and animal designs. 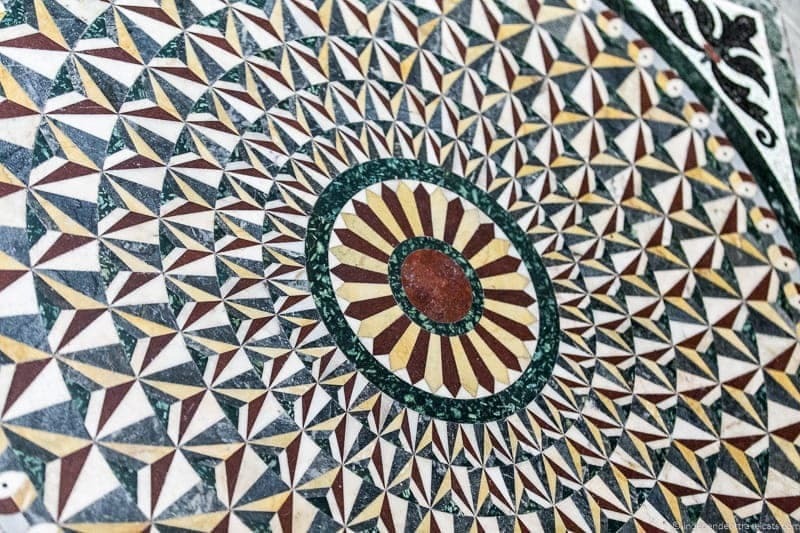 Despite the time and skill needed to produce the mosaics and floors, very few of the individual artisans’ names are known. In the center of the church you will see a large sort of partition separating the nave (main area of the church) and the presbytery (altar area) crowned with a cross and 14 beautiful statues. This is a iconstatis, or rood screen, and the figures are believed to be the 12 apostles, Mary, and Saint Mark. Although brown, the figures are actually made of white marble but centuries of smoking candles have taken their toll. The high altar contains the relics of Saint Mark and behind here is the main altarpiece, the Pala d’Oro. The Pala d’Oro is a Byzantine altar screen of gold studded with hundreds of gems, including 1,300 pearls, 300 emeralds, 300 sapphires, 400 garnets, and 100 amethysts! It is widely considered to be the most precious and refined surviving work of Byzantine craftsmanship. It was nice to be able to stand super close to inspect the screen as normally visitors have to pay to see it and are not able to get up as close as we were able to do in our group. A beautiful piece! 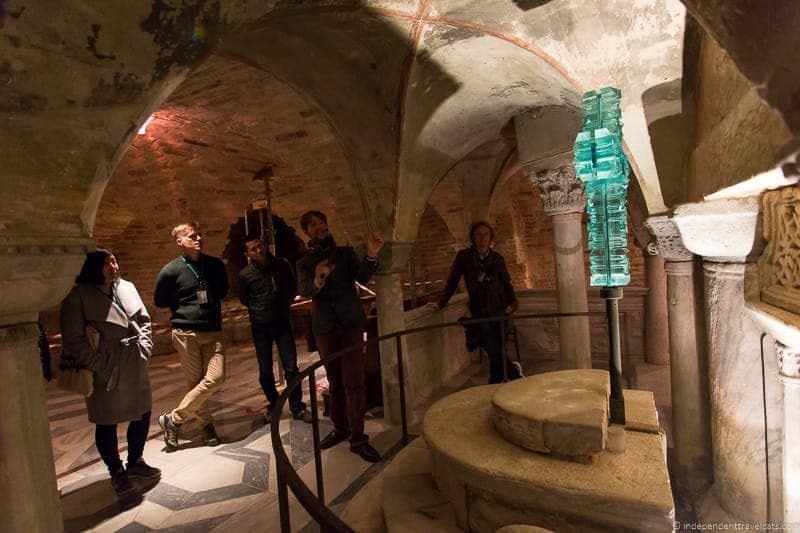 Basically the basilica is filled with many amazing treasures dating from a range of time periods and artistic styles and you can only get an overview on this tour. As Mose noted that a door that he spent months studying in school is typically not even given a mention as there are just so many competing architectural, religious, and artistic highlights! 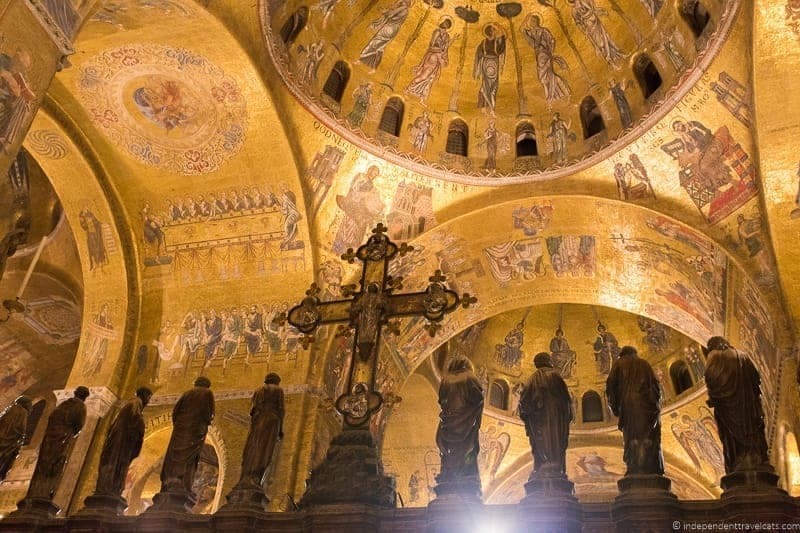 For those who want to know more before or after a visit, the Saint Mark’s Basilica website is a great resource and has pretty in-depth info on the history, architecture, art, and usage of the basilica, and you can of course also visit the basilica museum. Our last part of the tour was a short visit to the crypt beneath the main part of the church, which is not a place that many visitors get to see. The crypt has an intersecting barrel-vault ceiling supported by small marble columns and contains a small altar, seating area, and as you would suspect lots of tombs. An area known as the “retro-crypt ” contains the tombs of all the patriarchs of Venice since 1807. You can actually apply to get married in the crypt, although I’m not sure a crypt is the most romantic place in the world! After the crypt we returned to the main part of the church for the remaining 5 minutes or so of our tour and were able to explore the nooks and crannies as we pleased and ask Mose any additional questions. We spent some time trying to further understand the intricate floor mosaics. Our time was then up and we were escorted back outside to Saint Mark’s Square where our tour ended. This is a really special tour. Many of the special access/skip the line tours are all similar and not always worth the money, but this is really a quality tour that provides you will a unique experience of seeing these two famous Venetian landmarks without the crowds. The first part of seeing the Doge’s Palace is not really a special access tour, but it does take advantage of a late entry so that you see the palace at time when it tends to be uncrowded. Also since there is very little English explanation posted in the palace, it was great to see it with a tour guide who really knew the history and could offer entertaining stories and anecdotes. 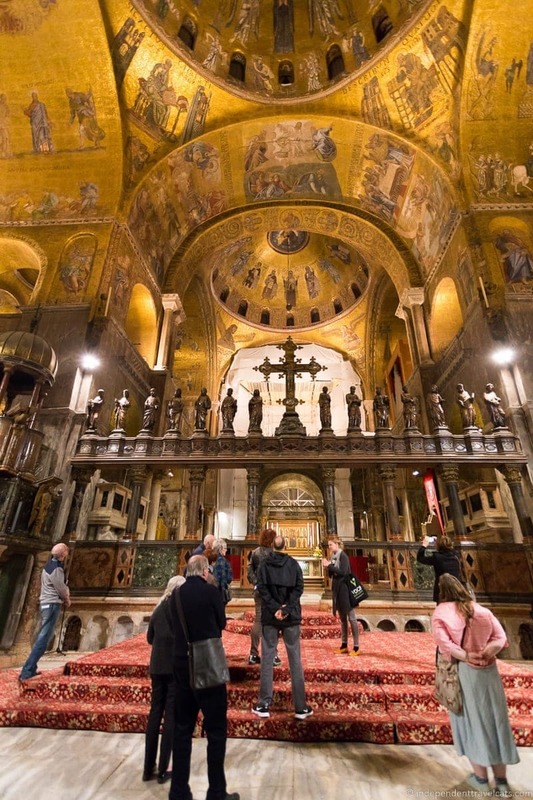 The second part of the tour in seeing Saint Mark’s Basilica without the crowds is amazing! Not only do you get to see it alone only with your tour group, but you also get to see it lit up. Seeing the shimmering gold mosaics and ornate decorations pop out of the darkness while sitting in a giant silent cathedral is an unforgettable experience. We also got to explore areas of the basilica that few visitors get to see, such as the crypt. The company did a great job of running two groups at once and we rarely ran into the other group as they alternated which part of the basilica to explore so it felt like you were only there with your group of 12 or 15 people. Mose was a great guide with a fantastic knowledge of art, Venetian history, and architecture and was able to keep the group engaged and answer our questions. Walks of Italy is the only tour company currently offering this experience, and they are only able to offer it a few times a month or less so do book ahead if you want to do it as it almost always sells out. As noted, the company offers separate tours if you only want to see the Doge’s Palace or St. Mark’s Basilica, as well as several other tours of Venice. Even if you don’t do a tour, I highly recommend checking out both of these iconic Venetian sites, and use the tips in this article to go at the least crowded times! Do you think you’d enjoy a guided tour with Walks of Italy to visit the Doge’s Palace and Saint Mark’s Basilica without the crowds? Have you visited either of these attractions in Venice? As always, feel free to comment and we’re happy to answer any questions about our tour. Venice is the most beautiful city to visit in Italy! Its museums and canals are the most beautiful things you can visit. Great information and thank you for sharing this infromation – very helpful! 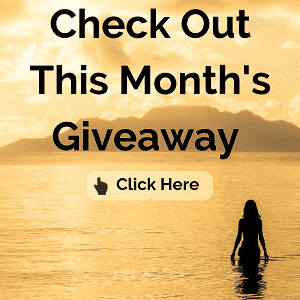 What a great blog post filled with so much interesting information! 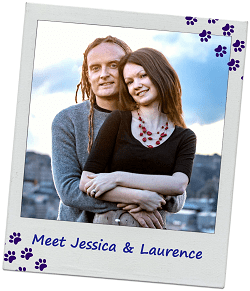 And lovely photos too! We love Venice, and have visited several times. For us, the Doge’s Palace is a real highlight. As you point out, the way to really enjoy and understand the history of Venice and the palace is to do a guided tour (which we’ve done, twice!). Sounds like a visitor would get a lot out of a Walks of Italy tour. And what a treat to be able to tour St. Marks Basilica and the palace without the crowds! That would be definitely worth it :-). Great photos! I’ve been inside the basilica but not inside the Doge’s palace. The tour sounds great but it’s a bit pricey. The Walks of Italy tours look great. We attended Mass at St Marks when we were in Venice. There was a crowd, but it was such an incredible atmosphere and a highly memorable experience. Wonderful – I had never heard of this palace before and I so hate sightseeing in large crowds! The Doge’s Palace is a great place to visit if you have the time. It is much less crowded off season since it is so big, it is possible to sort of walk around the crowds if you are just visiting yourself, but it can be quite crowded during the summer months and around events such as the Carnival. 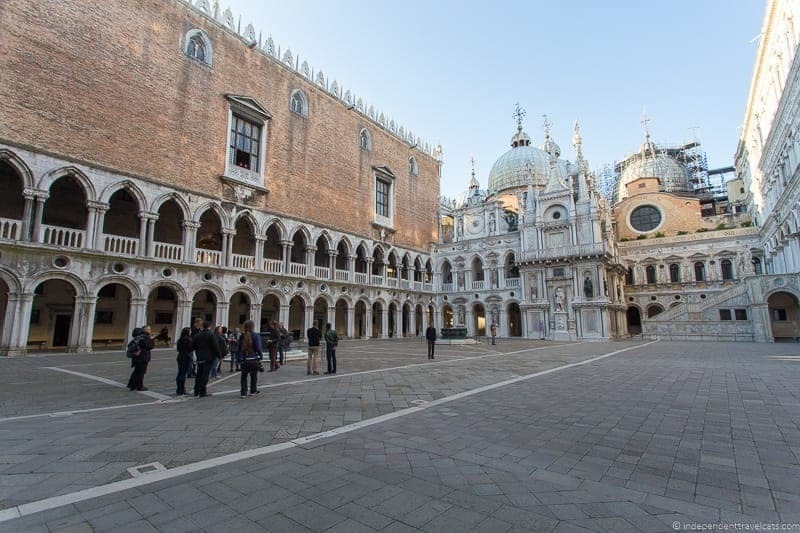 This tour is a great way to ensure you avoid the crowds in both St. Mark’s and the palace. This is a good idea, as I remember the long lines while we waited to get in to some of those places in Italy by ourselves. Looks like you got some fascinating information from the tour as well. 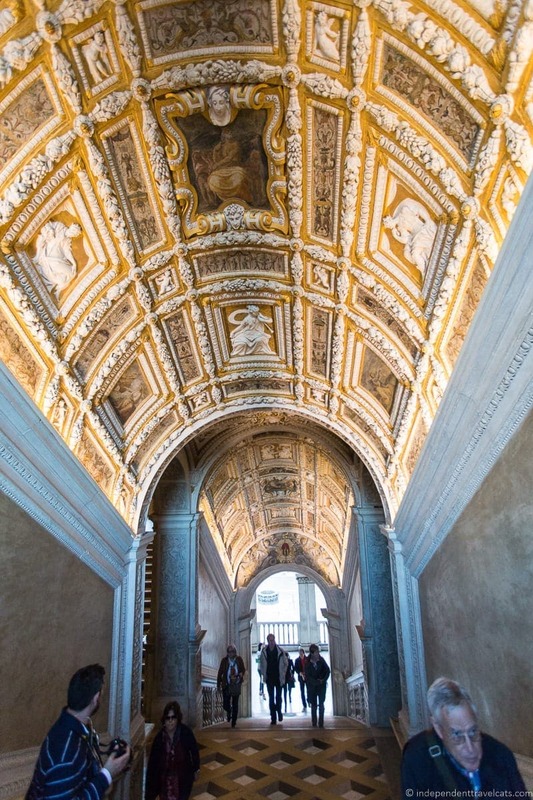 I love taking walking tours and will definitely bookmark this one for my Rome visit. Hopefully soon. Thanks and great pictures.